What’s changed about Fortnite now that Epic Games has officially launched Season Four? 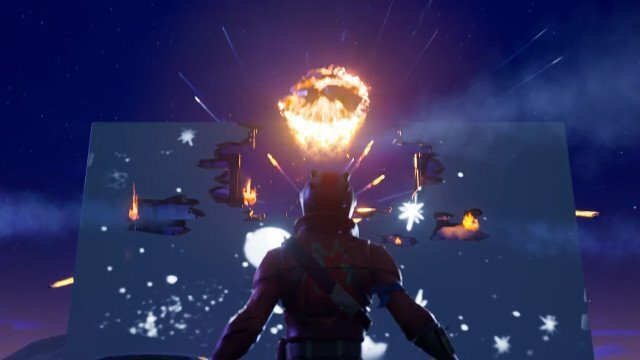 The comet has landed, and it’s changed the entire island, but how drastically? Players who warm up the game this week will find the comet’s impact has altered the topography of several areas. The biggest change is that one of the three warehouses in Dusty Depot has been completely flattened by the comet — turning into a crater called Dusty Divot. Around that area, you’ll find small pieces of the comet that have been dubbed Hop Rocks — named so because they make you jump higher than usual (but also slower). Battle Royale has received the lion’s share of improvements to Fortnite, most of which favor the hunter rather than the hunted. You can now see other players, and their structures, from three times further away than before. Headshots can no longer be blocked by raising an arm or any other body part. And structures on the starting island can be destroyed now, except for the Battle Bus. Epic’s full patch notes are below….and lengthy. Added icons for the tabs at the top of the Settings screen. Added “Ignore Gamepad Input” option to the Accessibility settings tab.